What are the five most notable Toyotas ever made? Ask that question about almost any other carmaker—except the usual high-end sports car makers. Most car enthusiasts simply shrug their shoulders with a ‘meh’. Toyota, however, stands shoulders above the rest in their quality, value, fuel economy, and lasting power. That’s why car lovers have a keen interest in the brand’s history and how it led to the brand’s dominance in so many categories today. One of the most successful Japanese carmakers ever, Toyota began its entrance into the Australian—and world markets—by crafting fine-tuned vehicles at a price everyone could afford. As Toyota cars grew in popularity, the Japanese car manufacturer diversified its range. It offered ‘utes’, sports cars and family cars. In 1989, Toyota’s quality grew further, when it offered its first luxury model—the Lexus. Toyota has never looked back. With its vehicles making yearly appearances in the lists of cars that best hold their value over time, the carmaker is still on a roll. Toyota has led the way in introducing new ways to build more efficient and more environmentally friendly vehicles. Here are five of the finest Toyotas ever made. Flagship staple vehicles that drove this carmaker to dominate the market to this day. Experts differ on what year of this perennial family car favorite was the top of the heap. All agree that the model itself stands tall among its peers. In its article ‘Australia’s Best Ever Cars’, the Royal Automobile Club of Victoria (RACV) argues that the 1993 model stood out among the model’s yearly offerings. When Toyota began production of its cars in Australia, the first Camrys were narrow-bodied. Completely unsuitable for the country’s wide-open roads. In 1993, Toyota’s Australian facility began producing a wider-bodied version of the Camry. ‘Within months’, RACV says; “Aussie-made Camrys were being sent…to Thailand and…the Middle East”. To comply with the Australian Government’s program called the ‘Button Car Plan’, the company also sold the car labeled as a Holden Apollo. The US car fancier’s ultimate authority, Car and Driver, names the 1992 version as the finest Camry ever made. From its finely crafted exterior and luxury car interior, it, too, had the wide body that made it hug the road like no Toyota before it. “Not…flashy…just a brilliantly conceived and executed appliance…the greatest Toyota of all time”. When the Corolla made its Australian debut in 1967, says WhichCar.com.au, it made an immediate splash. Affordable and agile, before agile was a thing—it could power through corners with ease, get up to speed quickly from a standstill and had a price tag almost anyone could afford. Although the model went through a lull in the 1970s and early 1980s with its clunky rear-wheel drive, the mid-eighties front wheel drive versions more than made up for the gap. It’s never looked back since then, becoming one of Australia’s all-time favorites. 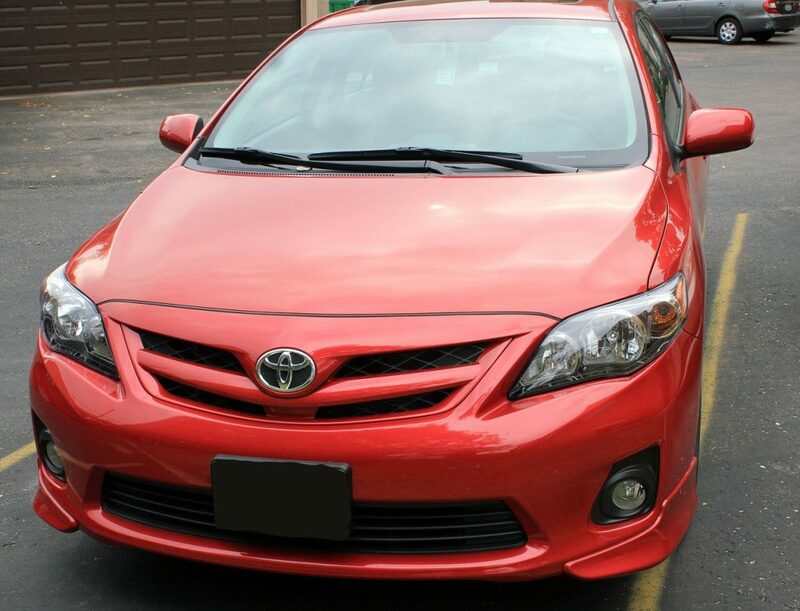 The popularity of both new and used Toyota Corolla’s, extend across the globe. One can find them on the streets of practically every nation in the world. Prized for their ability to navigate tight city streets, maneuver into teeny-tiny parking spaces, yet hold their own on the open road, the Toyota Corolla has become, as John Pearley Huffman states, ‘the best selling car nameplate of all time’. At the height of the sixties’ fascination with technology paired with fast cars, Toyota introduced a gorgeous sports car, the 2000 GT. Powered by what Huffman calls “a jewel of a six-cylinder engine”, this sleek classic debuted in 1967, gaining fame from its appearance in a James Bond film. However, this magnificent machine faced an early end. Only 351 of the models rolled off the assembly line. Production ended in 1970. Making this engineering and design icon one of the most highly prized collectors’ cars ever. Car and Driver calls the Toyota LandCruiser “the beast that has carried every burden thrown a-top it in every corner of the earth”. Since its debut in 1960, this rugged vehicle has set the standard for hard-working cars, even though its native Japan stopped production in the mid-eighties. Down under in Australia, it’s a different story. CarConversation.com.au’s James Kelly calls the car “one of Australia’s automotive icons…a car that brings people together…that removes the lines of social class”. Although its price is steep, it provides more value for the dollar than almost any other vehicle in its class. Its spacious interior provides legroom for all. But that’s not the reason people save for years to buy this car. Its 4.5-litre turbo diesel power plant, with its 200kW power and 650 Nm of torque, makes this vehicle a smooth mover. Its six-speed automatic shifts with ease throughout all gears. Whether you want to take a caravan on a cross-continent holiday or just head off for a day in the country, this ute can handle the bush or the open road with equal ease. Though a Camry in name, this Toyota Hybrid worth a mention in its own right. The only petrol-electric car ever built in Australia is one of the most economical options on the road today. An engineering and sales marvel, it has become the nation’s most commercially successful hybrid vehicle, according to Whichcar.com.au. So commercially successful says car review website Drive.com.au, that it has become the “car of choice for taxi operators”. Its dependability and miserly petrol consumption have managed to catch the eye of not only those who drive for a living but for those who drive to the place where they make their living. Although Australian production has ceased, its popularity endures. With more boot space than ever, thanks to its batteries’ new location under the back seat, it can haul plenty of gear. Its engine puts out 160kW of power. Its coup de grace is its fuel consumption—an outstanding 4.2 liters per 100 kilometers. Quality has reigned throughout Toyota’s history. In no small part thanks to these cars—the best Toyota models ever. If the past is any indication of the company’s future, Toyota’s finest hour is yet to come.